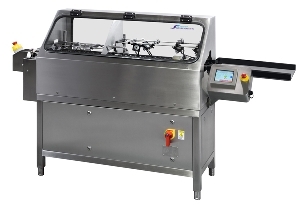 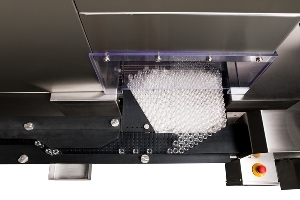 SP PennTech capping machines feature all stainless steel construction with tempered glass doors and windows and stainless steel hinges with built-in safety switches. 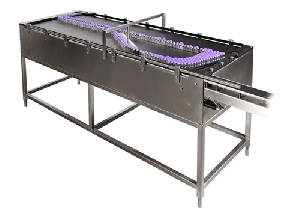 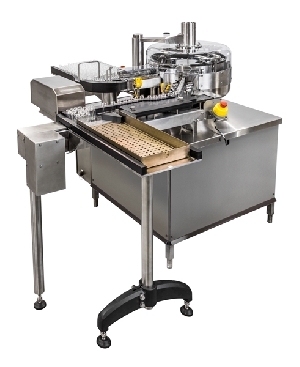 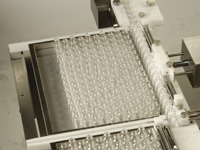 Their sanitary, raised track conveyor makes cleaning easy. 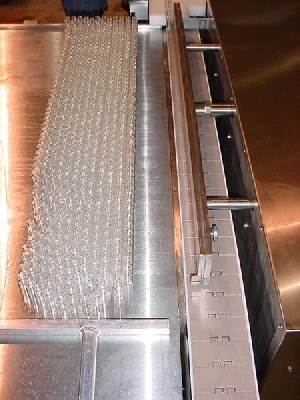 No stopper, no cap pick up. 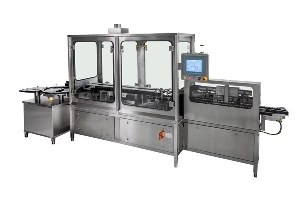 There is a reject station available. 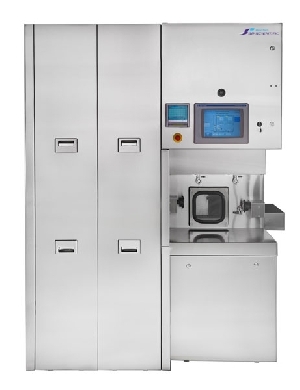 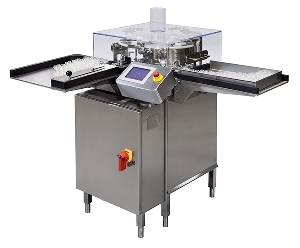 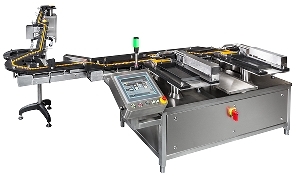 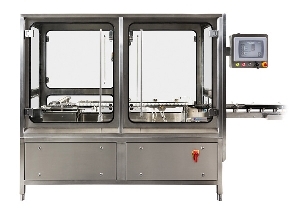 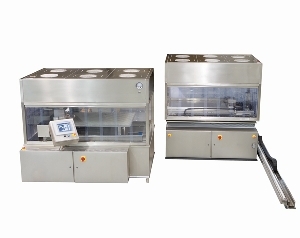 The compact and versatile design features the electrical cabinet located within the frame of the machine and 13, 20 and 32mm flip-off caps with PLC-assisted changeover and a menu-driven operation through AB PLC and AB PanelView 1000 Plus. 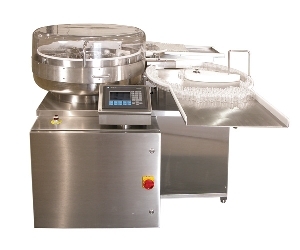 Dimensions 185x97.8x197cm vial running surface 85-95cm Purpose Designed specifically for low to medium..